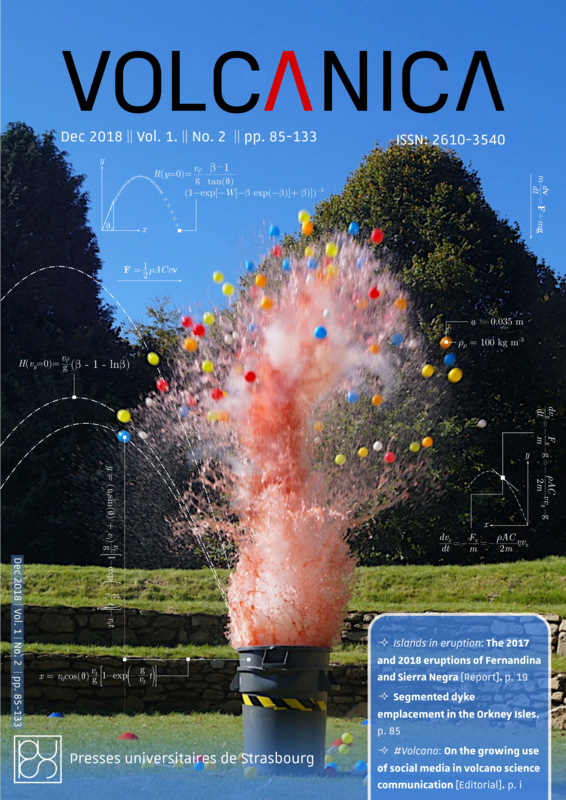 Fun experiments can be used to simulate aspects of explosive volcanism. 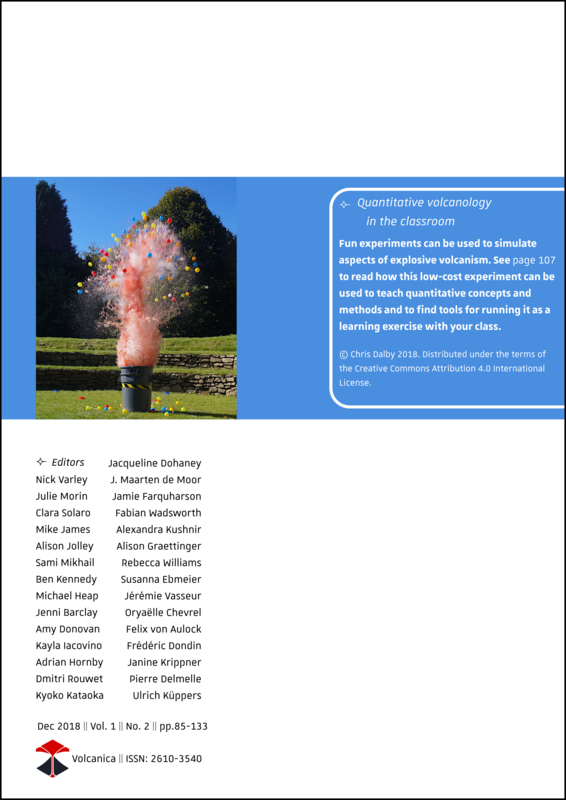 This low-cost experiment can be used to teach quantitative concepts and methods. Original image © Chris Dalby 2018. Distributed under the terms of the Creative Commons Attribution 4.0 International License. Cover design © Volcanica 2018. Distributed under the terms of the Creative Commons Attribution 4.0 International License. 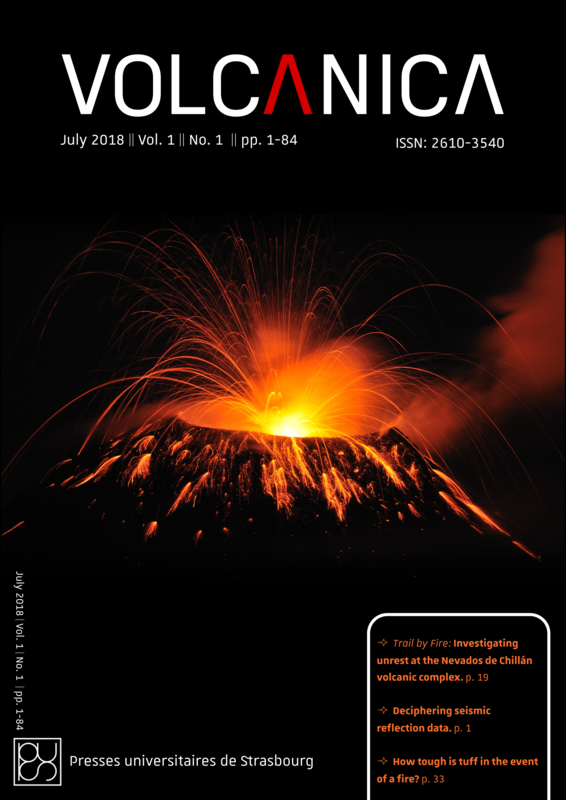 Vulcanian explosion at Tungurahua volcano. 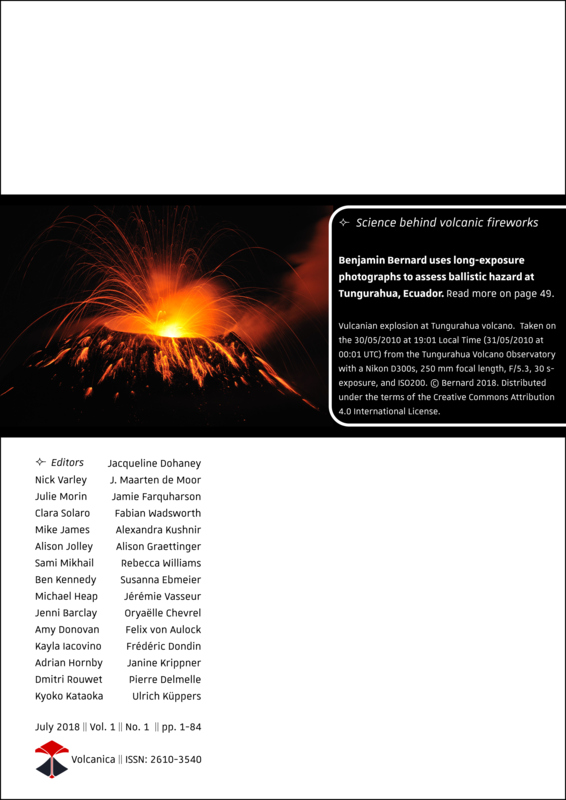 Long exposure night-time photographs can be used to assess the hazard posed by volcanic ballistics. Original image © Benjamin Bernard 2018. Distributed under the terms of the Creative Commons Attribution 4.0 International License.